Elvis Bedroom Photos Elvis bedroom so private no visitors allowed. 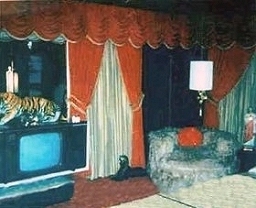 Elvis Presley’s bedroom at Graceland home holds some tantalizing secrets. 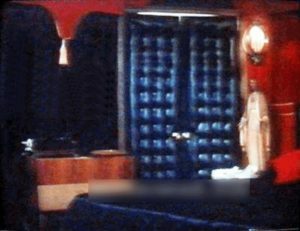 It is so private that no tours, no TV, no visitors and certainly no photos have ever been released to the public.Even when President Bill Clinton visited and asked if he could see Elvis’ bedroom he was refused. This is last thing, regarding Elvis Presley that has yet to be revealed. It was Elvis’ secluded sanctuary where he lived and loved. 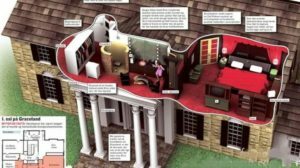 Upstairs at Graceland is a puzzle and a temptation, a fascinating locked-room mystery that draws in the imagination of millions of fans.